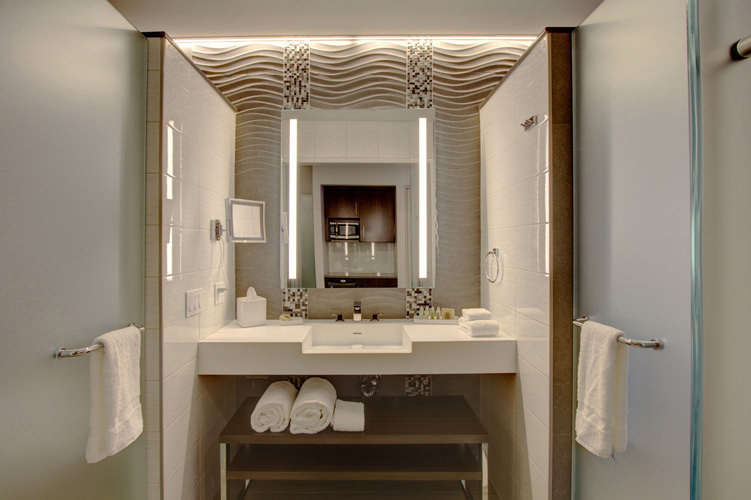 Step into Brooklyn's most upscale address. 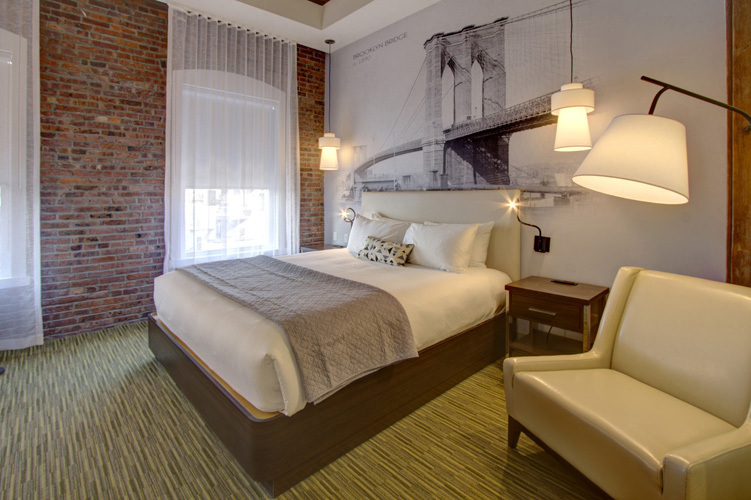 The Brooklyn is a 34 room boutique hotel nestled between the historic neighborhoods of Crown Heights and Bedford Stuyvesant. 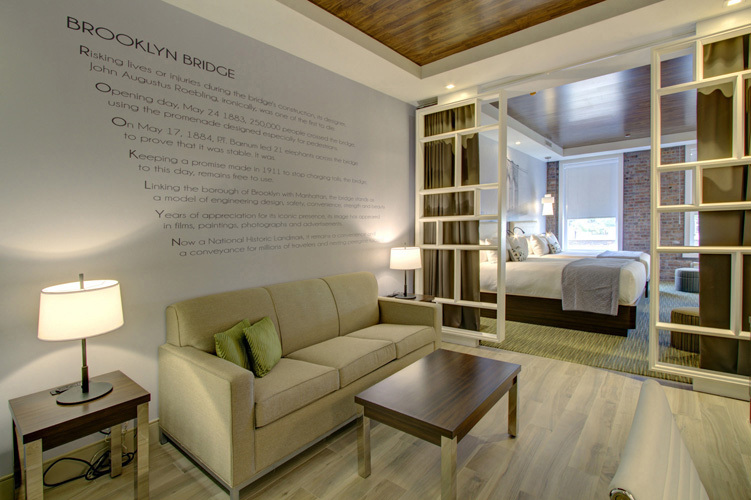 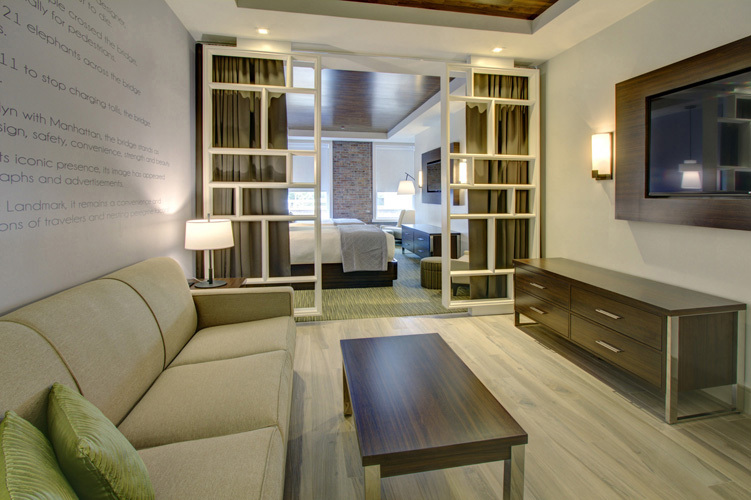 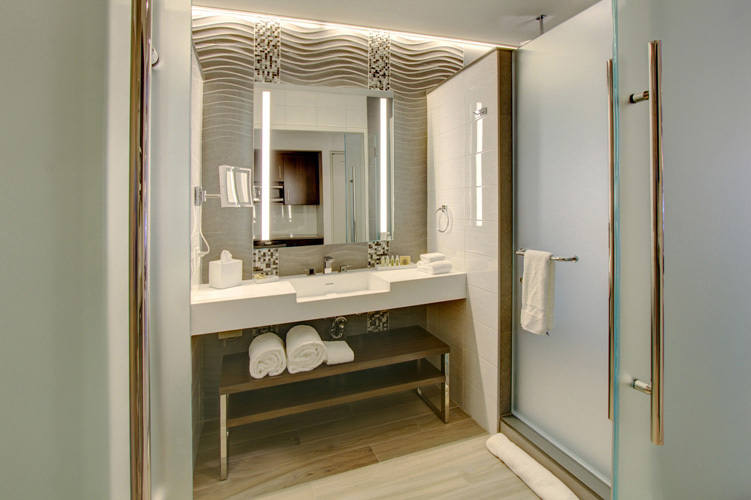 Spacious accommodations, including 12 one-bedroom suites, sumptuous amenities, and personalized service are hallmarks of the experience at The Brooklyn. 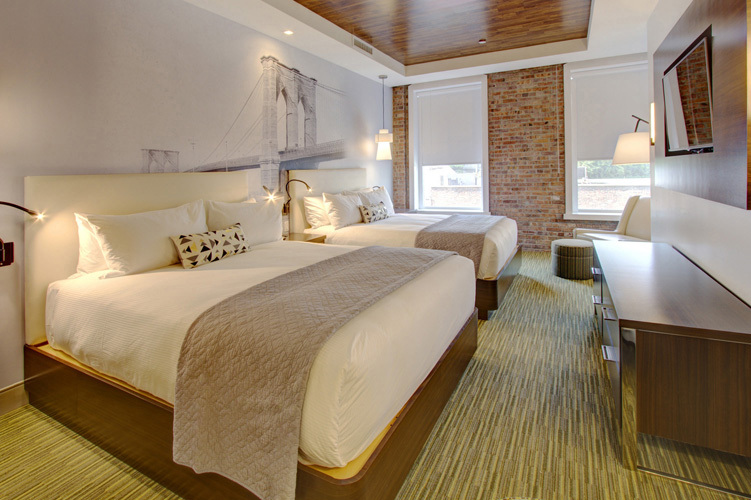 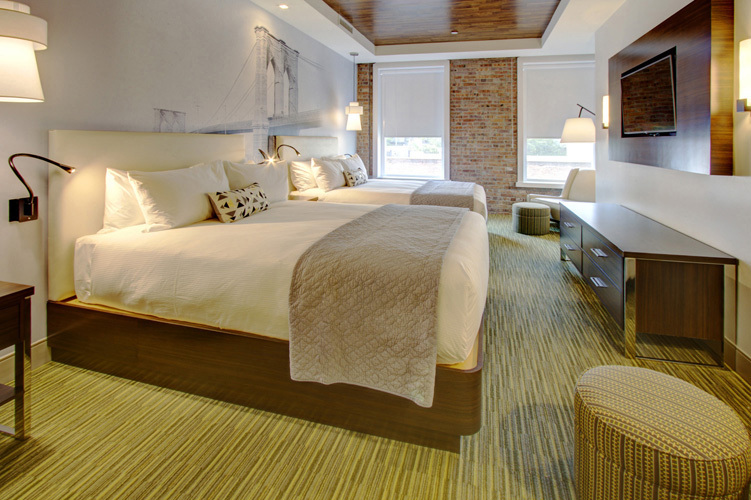 Plush bedding and spa-inspired bathrooms, along with artistic tributes to the history of the borough, set the tone for an exceptional stay. 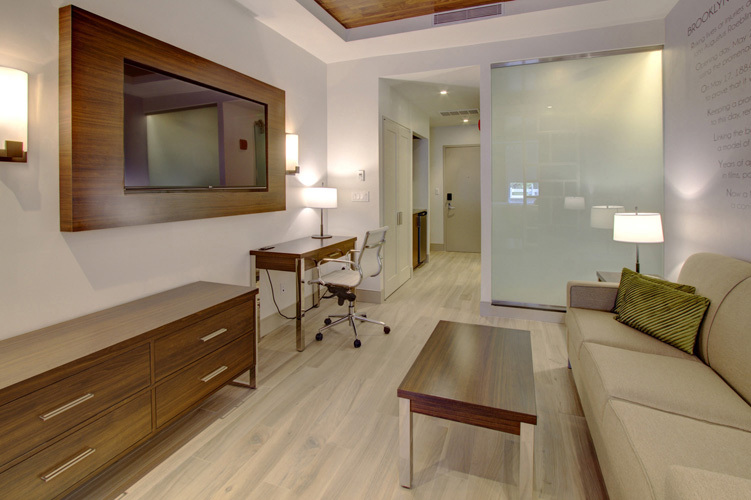 The modern aesthetic of the Brooklyn, produced by the renowned Espacios Design, features natural hardwoods, inventive lighting and comfortable seating spaces throughout the communal areas. 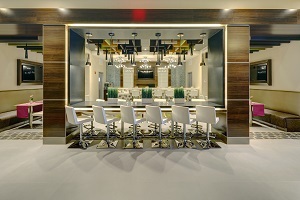 A fabulous bar & lounge area, along with a private 1,000 square foot event space, make The Brooklyn the perfect destination for special occasions. 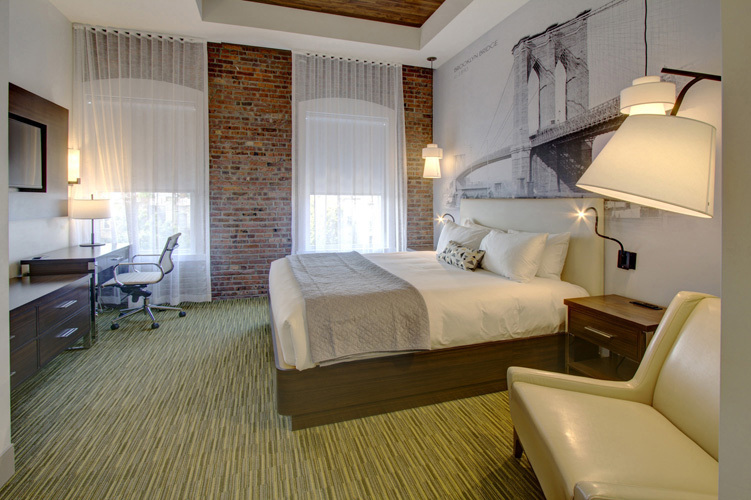 Perfectly situated near mass transit and Barclays Center, seamless access to Manhattan, downtown Brooklyn, and local airports awaits.